It’s the largest ski and recreational resort in Finland, so you just know there are going to be loads of amazing things to do in Levi. 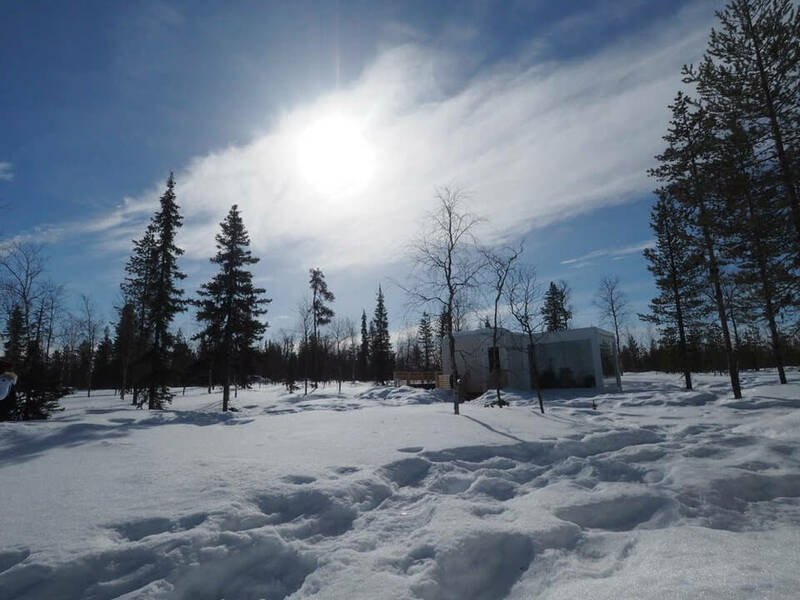 Levi is in Lapland, in Finland, situated 170km north of the Arctic Circle and Rovaniemi. 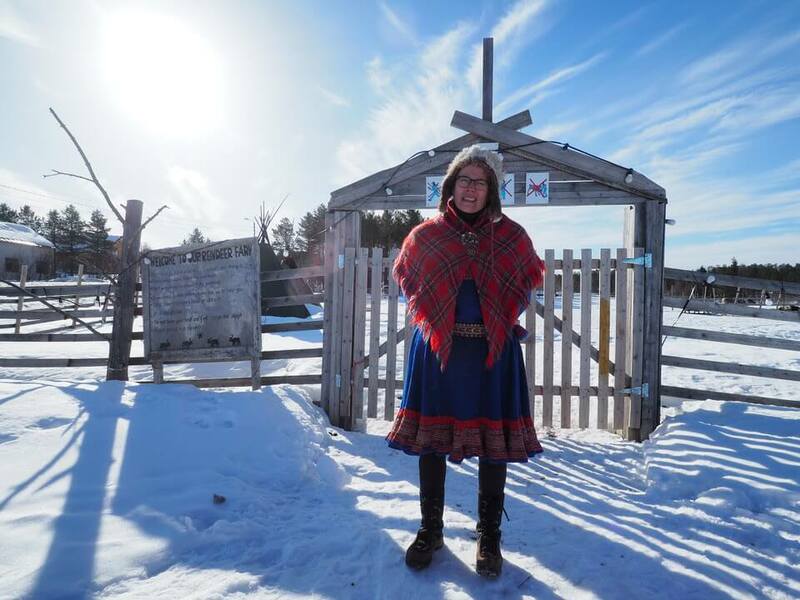 I visited in April, when the skies were blue, the sun set at around 8:30pm and the ground was covered in snow. The perfect time to visit Levi, if you ask me. I was in Levi for three days, to experience as much as possible. I’d come from Yllas, just an hour away, where I had a brilliant three days exploring everything there was to do in Yllas. Levi is probably the most well known of the Finnish resorts for the Brits, mainly because of all the children’s Christmas experiences marketed here. Levi is often where you’ll go to ‘meet Santa’. It’s not just a Christmassy resort though. 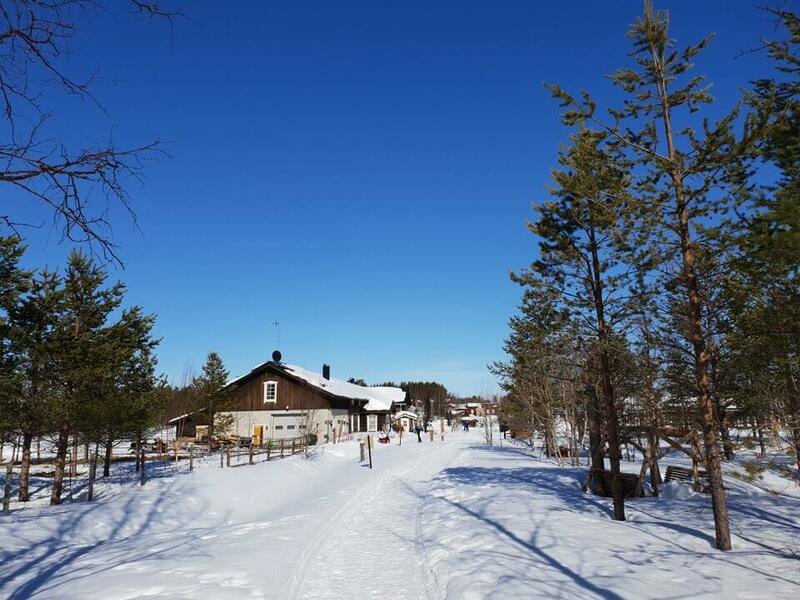 There are a wide range of winter and summer activities to do in Levi. 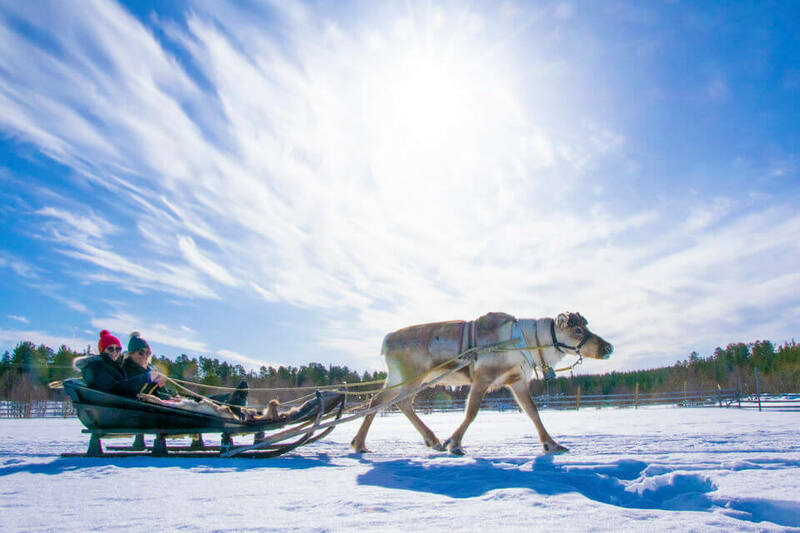 From snowmobiles to husky and reindeer safaris, hiking, canoeing and cycling. 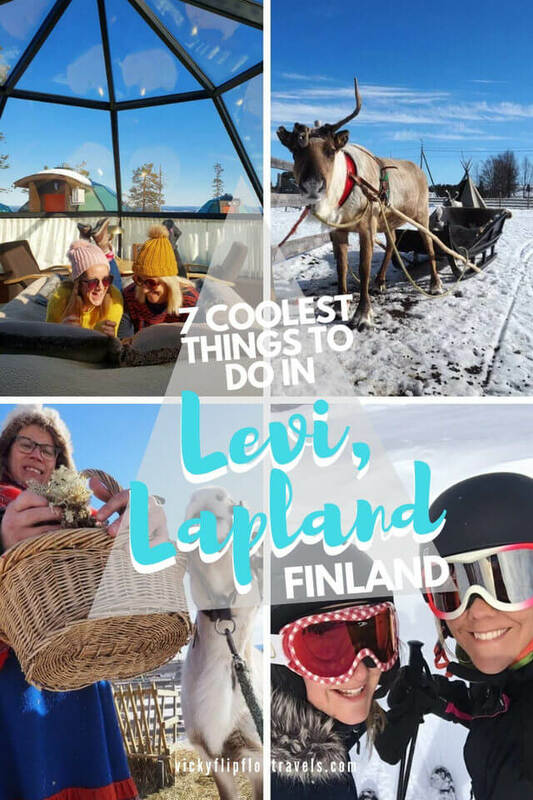 We only had 3 days in Levi, but I wanted to share some of my favourite activities in Levi, to maybe inspire you to go in the future. Our first stop on our tour of Levi, was the Levi Igloos. 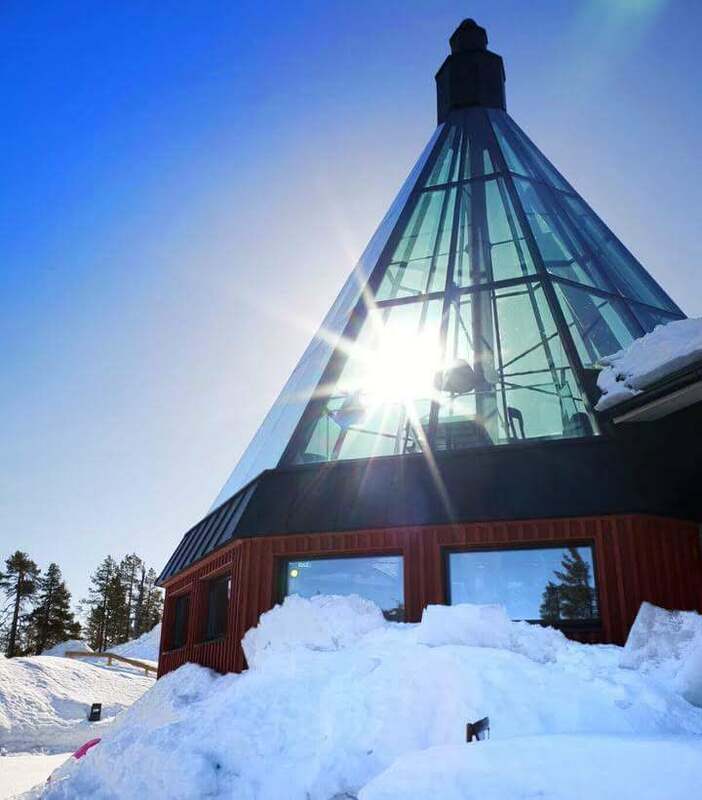 There are some incredible hotels in Levi, and these are the kinda places you see on Instagram. It would’ve been amazing to stay here but I’m guessing it was the price that put an end to that on this press trip. The igloos are pure luxury. 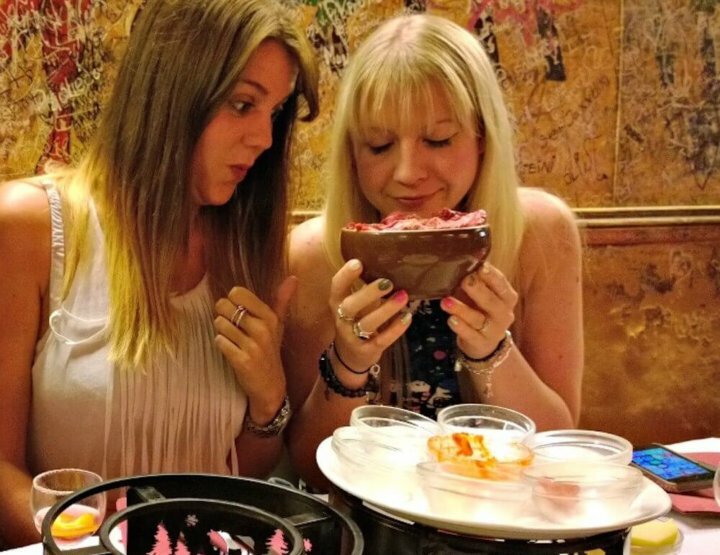 If you were proposing abroad, the Levi igloos would be the sort of place to do it. 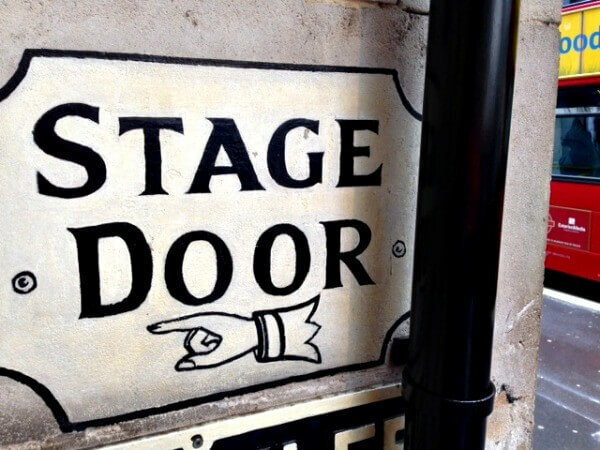 In fact, we saw someone do just that when we arrived. 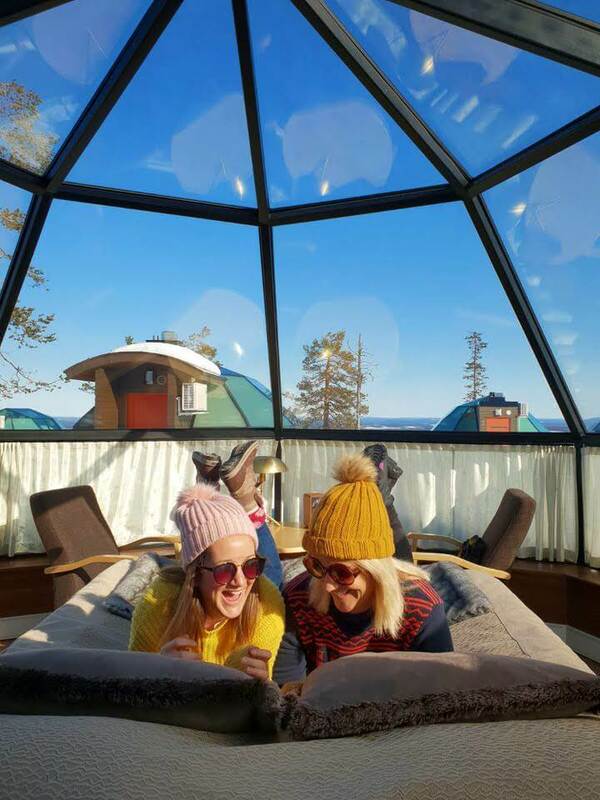 The igloos were like self contained flats, with their own bathroom and kitchenette so you needn’t leave and could just lie and watch the Northern Lights, hopefully. 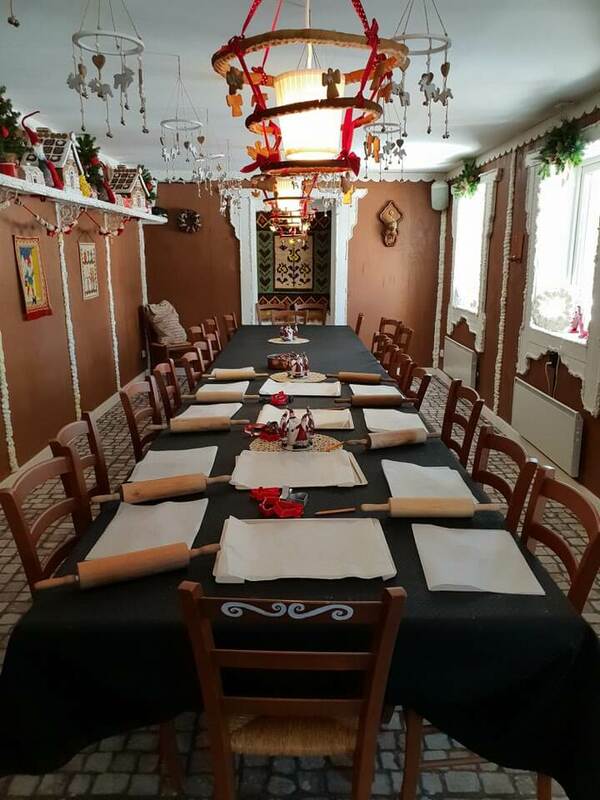 There was a really nice restaurant on site too, so if you don’t want to / can’t afford to, stay, then you can still enjoy a tasty Finnish meal in luxurious surroundings. 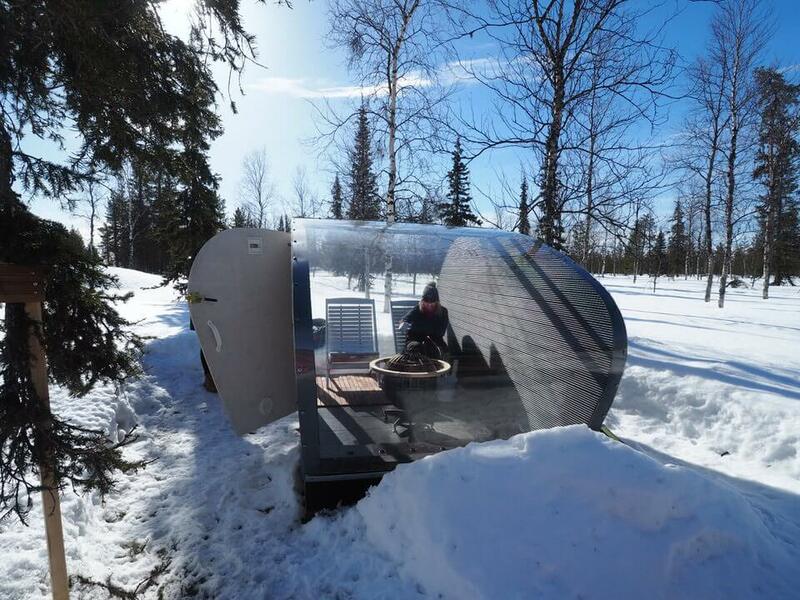 The Levi Igloos are just a short ride outside of Levi. 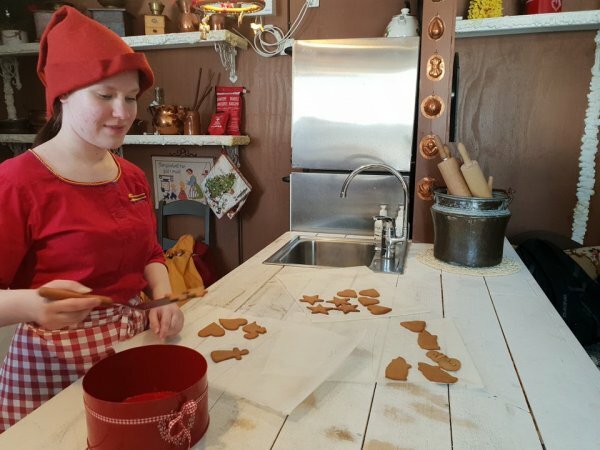 Go and visit Santa’s elves year round at the Elves Hideaway! 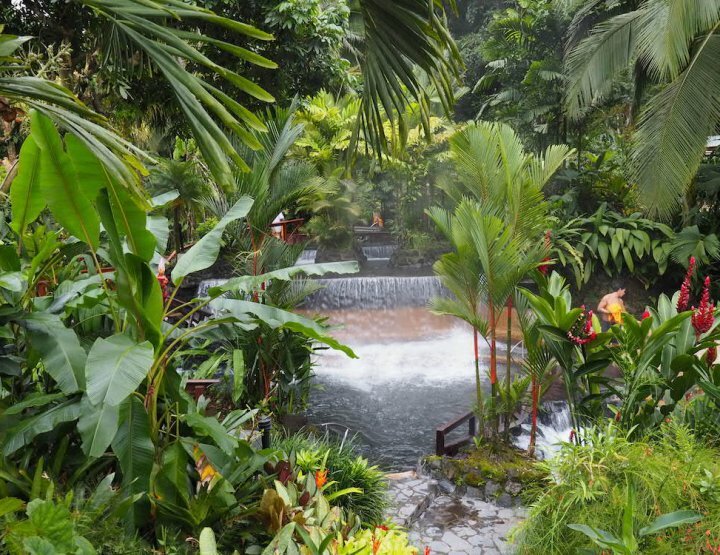 Honestly, I’m a cynical soul, but the Elves Hideaway experience was magical. We saw where they lived, in their little houses, saw where they went to school and even had a lesson in Elfish at a tiny desk, and then went to make gingerbread in the kitchen. There was snow on the ground, elves all around and Finnish Christmas music blasting out, despite it being April. 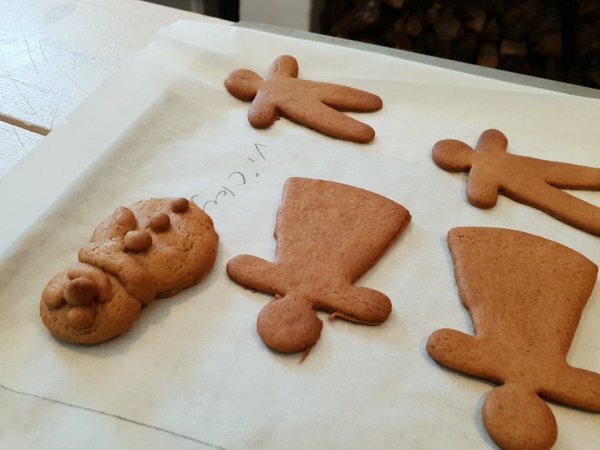 With a bag full of gingerbread we went to chat to the reindeer shepherd and admire his herd. And then, lunch of fish soup and a cake before our next adventure. If anyone gets a yellow hat with a bobble on for Christmas this year, it’s mine. I left it in the elves’ workshop. 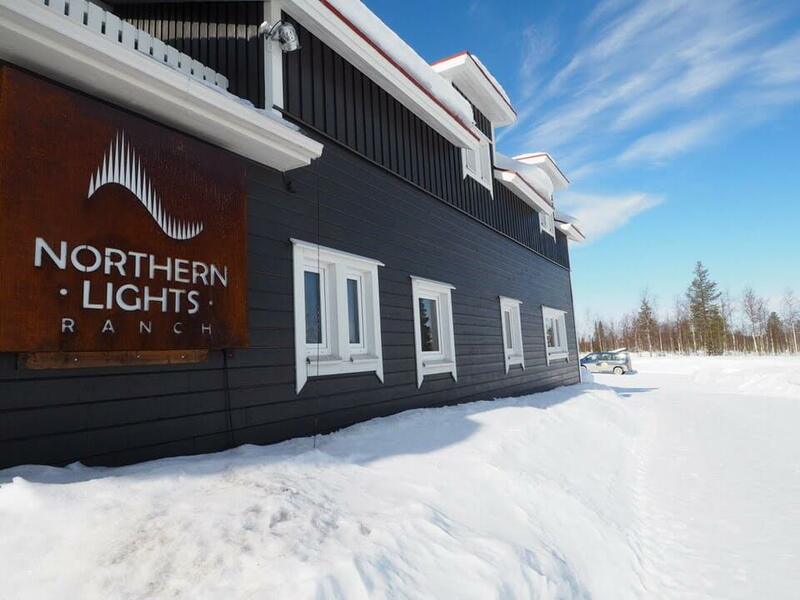 Now, this, is where I’d stay if I’m ever in Levi in Lapland again (hope I am). The Northern Lights Ranch ‘apartments’ were beautiful. Reindeer were roaming freely, the apartments had sky views for the Northern Lights and some even had hot tubs. Can you imagine sitting in a hot tub here as the Northern Lights danced above you? There was even a sauna ‘box’ where I went to warm up a bit. 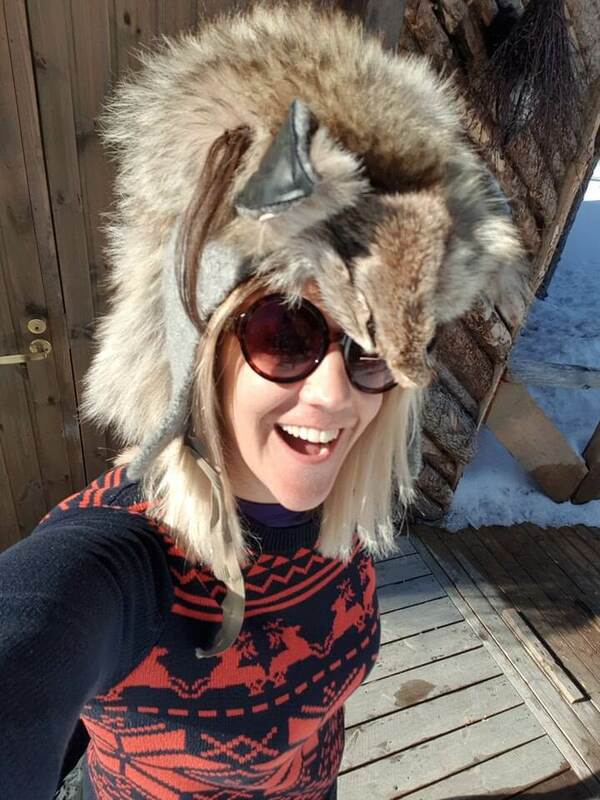 Now this is how you holiday in Levi. 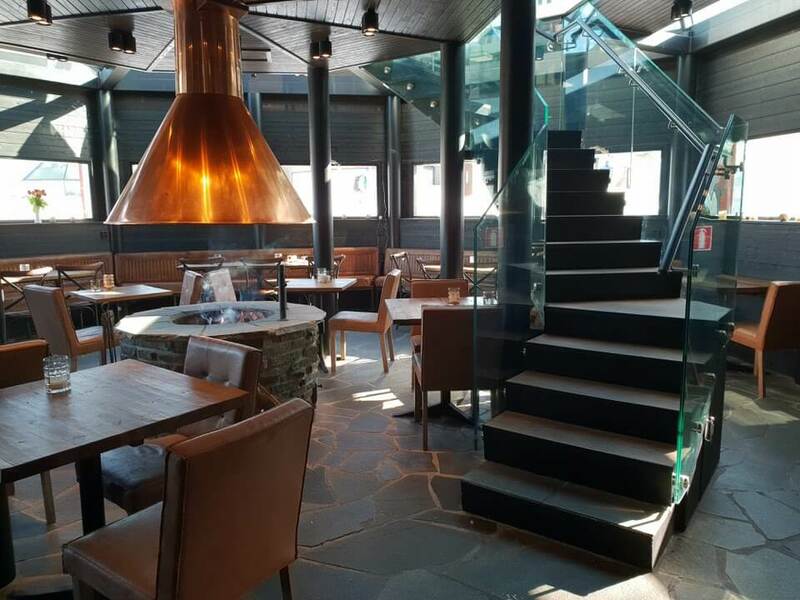 In the main reception building you can find a restaurant complete with typical Scandinavian design and I’m sure, delicious food (didn’t have time to try but the tea and biscuits were great). Because of its remote location away from artificial light, the Northern Lights Ranch offers the best chance to experience the Aurora Borealis. 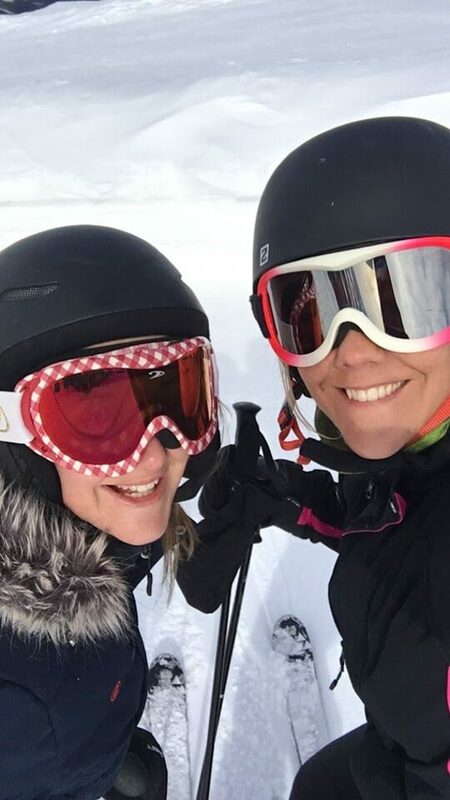 We went skiing in Levi Lapland, at the same time as there was a super important race – the Visma Ski Classic Ylläs-Levi. A long distance ski race. To be completely honest, I didn’t have a clue what was going on. However, I did have a great time skiing the slopes at my own speed. Some of my group were more advanced than me, and some less, so I went off on my own for a while and had a great time exploring. I did meet with Monica for a hot chocolate at the top of the slope though, had to be done. We sat on a deck chair admiring the view. Dreamy. From what I could tell the ski resort in Levi was suitable for all skills and had plenty of space, despite it being such an important week in the Finnish ski calendar. 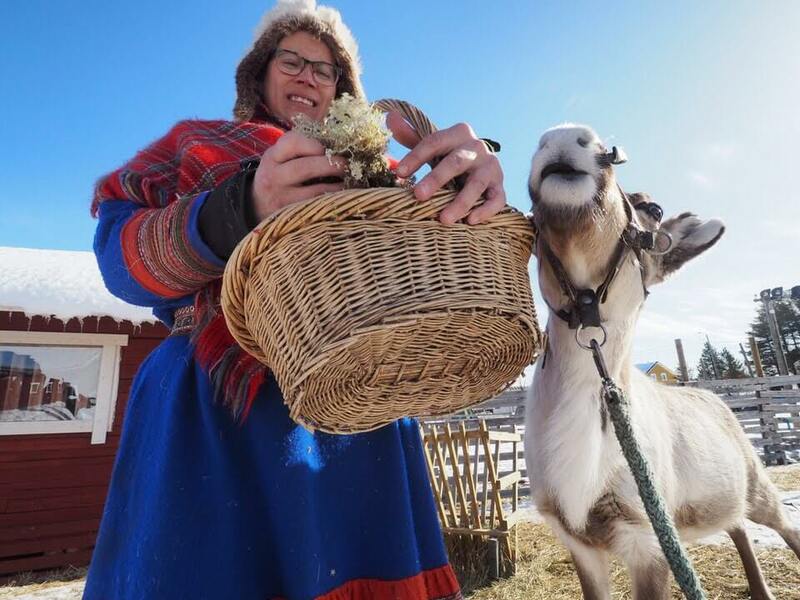 My visit to the Ounaskievari Reindeer Farm was fascinating. There were around 50 reindeer, just chilling in the snow. 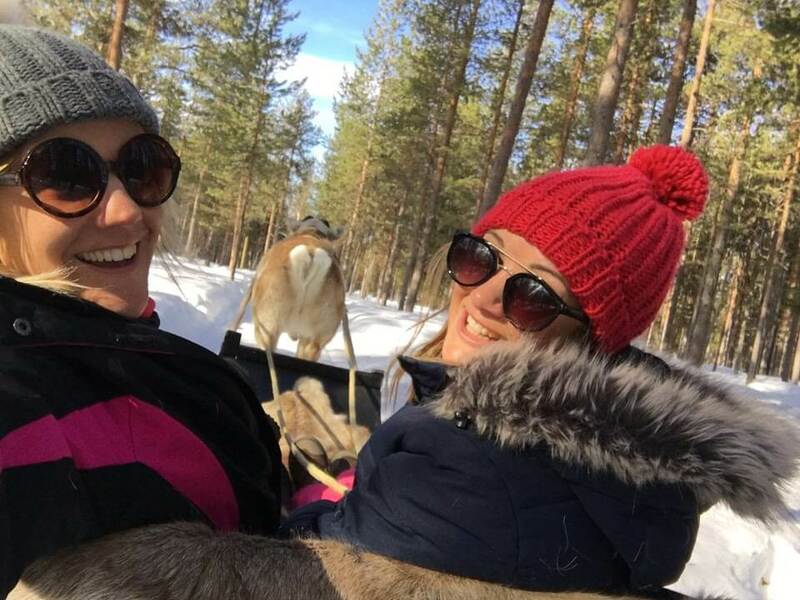 Our trip started with a little intro into the Sami way of life, and then, we were going on a sleigh ride around the grounds. Monica and I nestled in to the sleigh while the reindeer prepared itself to haul us around, and off we went. Honestly, neither of us really knew what we were doing or how to make the reindeer go faster or slower. We just rolled with it and as the reindeer behind us advanced, I was terrified we were going to flip out. My fear overrode the awe, which soon turned into laughter. 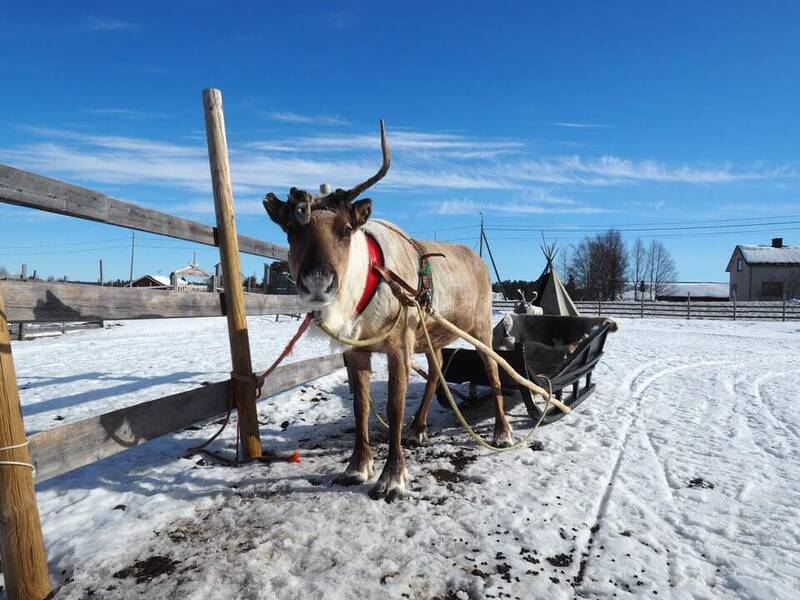 Definitely visit the Ounaskievari Reindeer Farm and try navigating a sleigh ride yourself. We got to do it twice, woo! 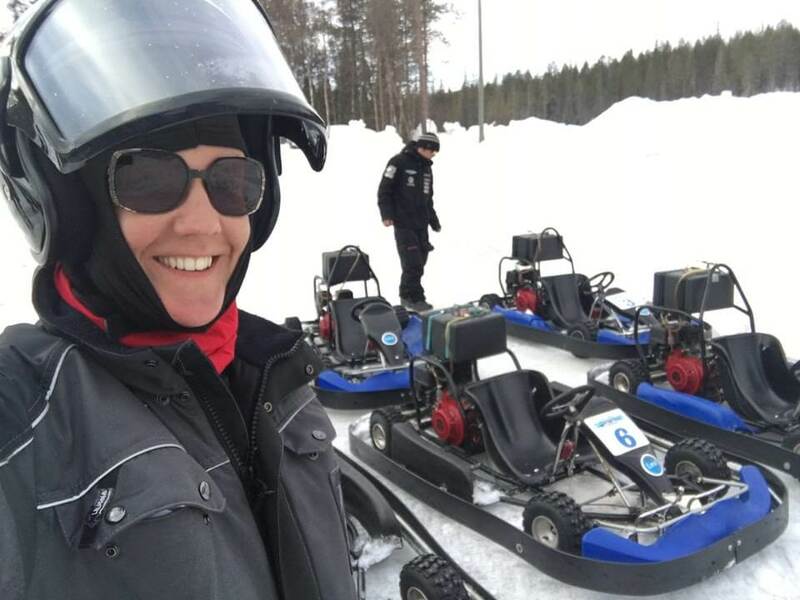 Ice karting is one of the top things to do in Levi. I’ll admit I was a little disappointed that we weren’t actually racing each other, but just going round the track. But, as soon as I realised how rubbish I was at it, I was ok with that. It is hard to drive a kart on ice. Especially when it’s only the second time you’ve ever been in one. I was all over the place, a la, my attempts at Super Mario Kart when I was younger. All good fun though. We did a few laps around, and then stopped for the hot berry drink that’s so popular in Finland. After lunch at the Levi Panorama Hotel, Lapland, which, as the name suggests, had amazing views, it was off to our final stop in Levi. We hiked along the snowy path to the Scenic Cafe Laavu. Inside was the traditional fire we’d now got used to from the ski huts, and a few options for tea, coffee and hot chocolate. I mean, the man serving won’t be winning any medals for customer service, but the views were beautiful. Waaaaay more beautiful than the picture above, but for some reason I didn’t take a picture so you’ll have to just go and check it out for yourself, or just type scenic cafe Laavu into Google. Up to you. The cafe was the perfect way to take in the landscape where we’d spent three days skiing, ice karting, eating the traditional Finnish food and enjoying sleigh rides via reindeer. 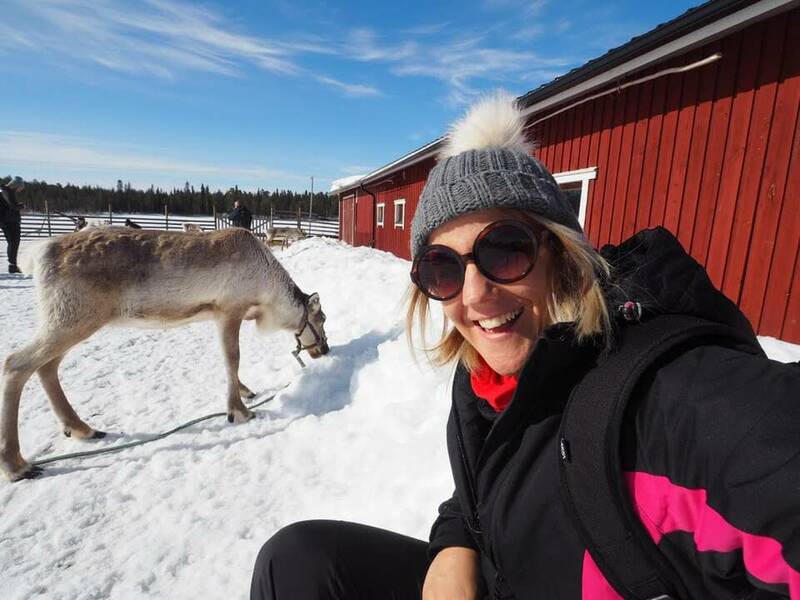 Or, how about, the 8 most awesome things to do in Yllas, Finland? I was in Levi, Finland, as a guest of Visit Finland. All the activities above were complementary for me, in return for a write up on my blog. All thoughts and opinions are my own. 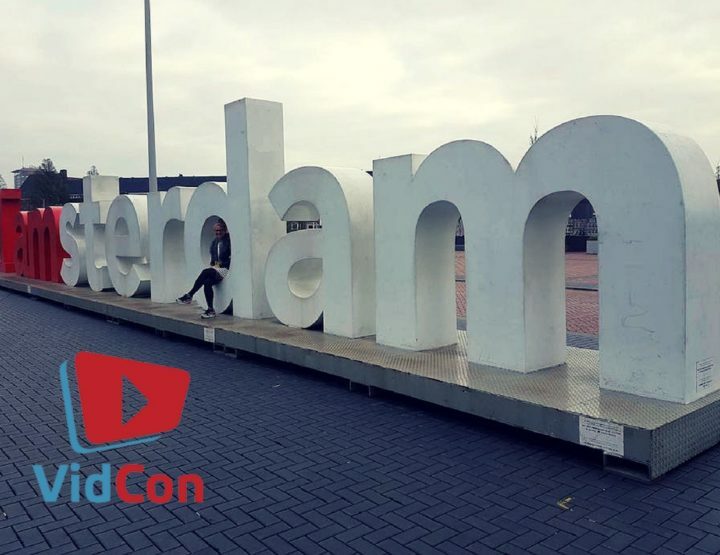 It may sound overly positive – but that’s because, it was an AWESOME trip. Definitely recommend a trip to Finland ASAP! Finland is the place where I was always longing to go. So this blog is very important to me. Thank you so much for this very informative post. What a great experience. I love Lapland. I was there a few years ago and did the Ice Castle in Kemi, which was also a pretty amazing. Oh nice! 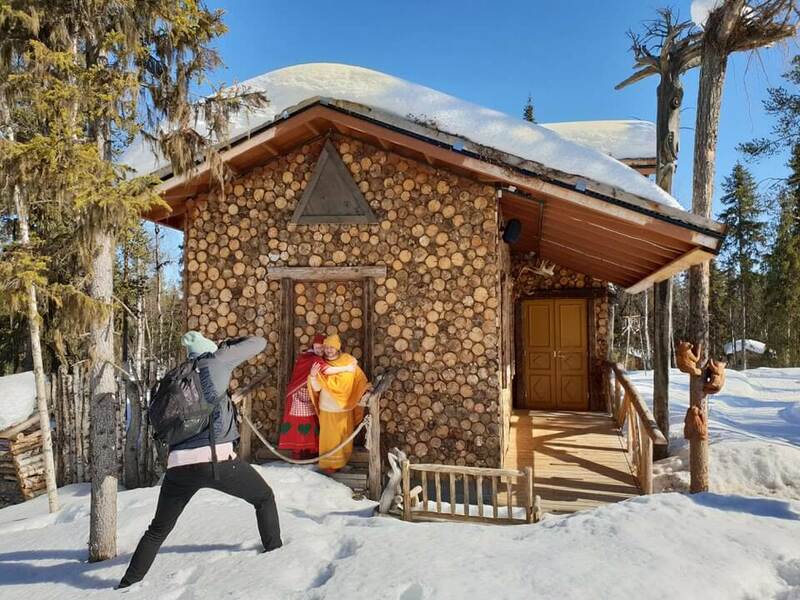 I think there are so many cool places to visit in Lapland. I'd love to visit for longer at some point. Maybe hire a caravan and travel around a bit. One day!